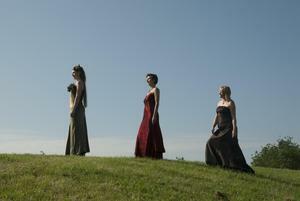 Trio Les Trois Muses is an enthusiastic romantic ensemble. Diana And Esther perform already for about 20 years together and Tenar and Diana for 4 years. Now Diana has brought all three together in this beautiful trio Les Trois Muses. 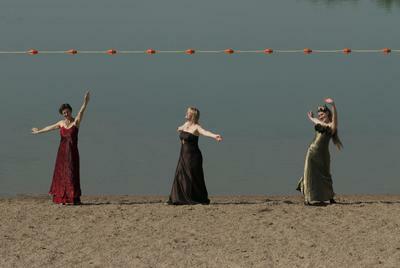 The muses of the flute, harp and singing. The music they perform is French repertoire for example: Delibes – Le Rossignol , Saint Saens – Une Flute invisible, but also other composers from other countries. The combination of the beautiful voice, the sonorous flute and the warm and great sound of the harp touch you in your hart deeply. Soprano Tenar van Kooten Niekerk (1979) studied classical vocal music at ArtEZ conservatory in Arnhem. During the first stage of her education she studied under Elena Vink and continued her studies under Harry van Berne as well. In 2005 she successfully graduated. Tenar has followed numerous master classes by Carolyn Watkinson, Kevin Grout, Micheal Chance, Alison Pearce and was taught by Marielle Vester and Milou Houtkoper. At the moment Tenar is being trained vocally by Hanneke de Wit. A passion for theatre and drama has always existed. Tenar followed several courses at the school of performing arts in Utrecht. Tenar portrayed various roles with different opera groups and performed in different projects by YO!, De Plaats, de Koninklijke landmacht kapel en Opera Buffo, including an opera at the Oeral festival. After following years of musical training at Kunstbedrijf in Arnhem, Tenar became a musical theatre trainer herself for Kunstbedrijf and is a vocal teacher at ROC, education for artists and theatre. Furthermore, she works with different choirs where interpretation and vocal training are central. She is also a experienced soloist in several choirs. Tenar performed countless times as part of the theatrical ensemble ‘Xantippe’. After nine successful years the group decided to part and go separate ways. Tenar is currently active in various groups. Together with Susanne Tempel she performs classical music in the ensemble ‘Mariposa’ and together with Juliette Damen, Kitty Meijer, Wilbert Frederichs and Hans Scholing she is one of “Het Kwintet”, a vocal a-capella group and an opera ensemble with Mariska Wessel (mezzo-soprano), Joep van Geffen (Bas-Bariton) and Heleen Vegter (Piano) under the name of Pasticcio ensemble. The esemble performes various duets and solos combined with audience interaction. 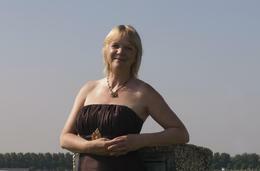 Diana de Vries has been solo harpist of the Arnhem Philharmonic Orchestra( Het Gelders Orkest) since 1982. She is also a member of the Eurus Chamber Ensemble, Trio Sagaro, Trio “Les Trois Muses”, duo Concerto Elysee. In duo combinations she also performs regularly with voice as well as various instruments including the flute and organ. Her repertoire is extensive, ranging from the Classical period through to the Avant-Garde. In addition to her extensive performing activities Diana de Vries has built up an outstanding reputation as a teacher. 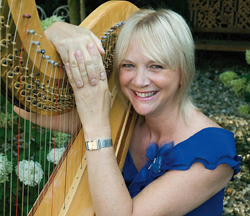 Together with her harp playing Diana also compose for the harp.